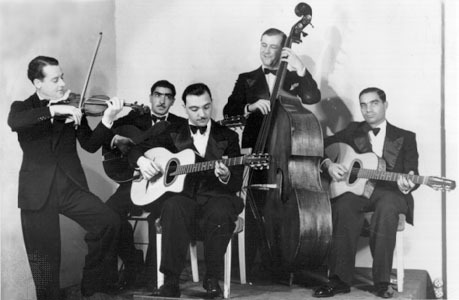 Le Quintette Du Hot Club De France. Audio recorded 31st January 1938 London. Living Era Recordings 1998 ASV Ltd CD AJA5267. Video clips from ABC (Australia) DVD set “Jazz”.